Before you sign that contract with someone else, let Lightning Experts give you a FREE QUOTE to satisfy and fulfill your commercial lightning protection needs. Whether it’s building, towers or boats -we guarantee Lightning Experts will surpass your expectations. Medium Range: 8,000 Stainless Steel Points – The PPD-1200 is our smaller version of the PPD-1900. This brush is suitable for special applications with the same quality and attributes of the larger brush. The 1200 system is designed for additional cost-effectiveness for sites that don’t require the larger system. The 1200 is perfect for mounting directly on satellite dishes as well as cameras and other equipment which require special protection. Large Range: 12,000 Stainless Steel Points and sitting on top of The Willis Building, (aka the Sears Tower ) is our PPD-1900. The Sears Tower has been relying on Lightning Experts 100% made in USA products to protect North America’s tallest building. Naturally this location is at great risk for lightning strikes and time and time again our system has continued to give full protection. Contact Lightning Experts for your lightning protection needs. 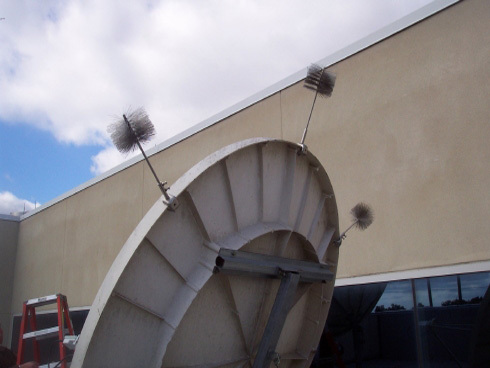 Small Range: 3,000 Stainless Steel Points – The PPD-114 has been developed specifically for tower cameras, security cameras, roof tops and satellite dishes which do not require the larger brush. Made of 100% stainless steel with an extra strong 4 wire core system. 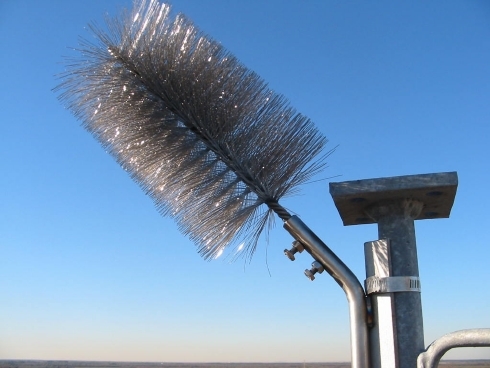 Our brushes have withstood winds of over 150 mph as measured in wind tunnel tests. We are proud of all our brushes and enjoy hearing from our customers that the systems have done the job! 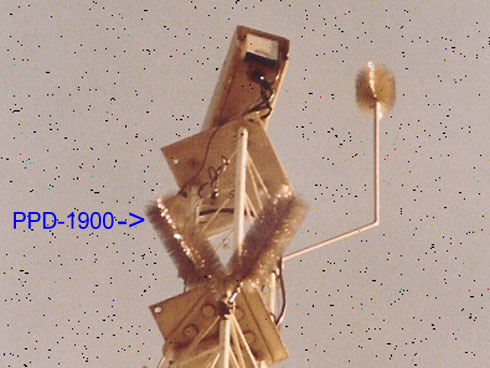 Lightning Experts has been keeping customers happy and their structures safe for several decades. One of our biggest clients, Sears Tower in Chicago depends on our products and services - and so can you! Lightning Experts PPD series of brushes are relied on for critical applications. Our products are made 100% in the USA and made with 100% USA grade steel assuring our products stand the test of time. Commercial or residential, lightning does not disguised where or what it strikes, and our customers should never sacrifice price over quality, proof of this is evident in many of our high profile clients. Lightning strikes the earth roughly 100 times every second – it’s not a matter of if but when. Protect your valuable property before it strikes. Contact Lightning Experts today. Lightning Experts can handle all your lightning protection needs, products and services. Based in Tampa FL, our range is global. Contact Lightning Experts today. Residential needs are critical as well. Your house, shed, CB radio antenna, satellite dish, smoker grill, boat – should all be protected. Contact Lightning Experts today. Towers, buildings, broadcast stations, satellite dishes, cruise ships, silos, traffic lights, traffic cameras, oil wells and much more. Homes, boats, RV’s, satellite dish, smoker grills, silos, and much more.